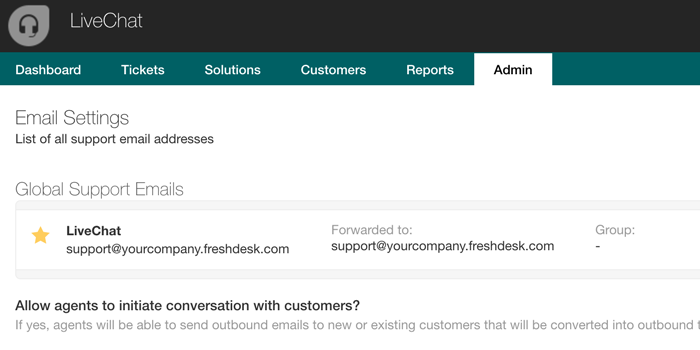 Integrate LiveChat with Freshdesk to push chat transcripts and support emails into Freshdesk. That keeps all your customer insights collected together, extending your customer service capability to manage customer requests. 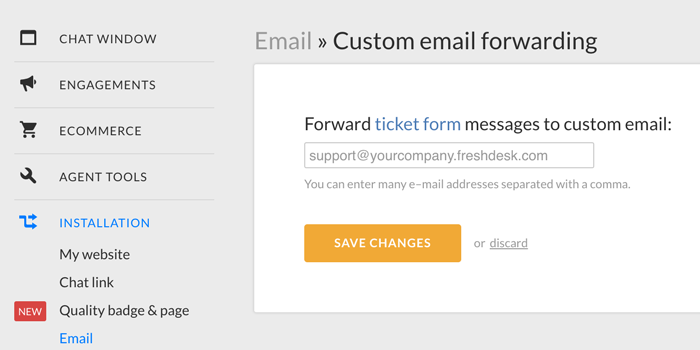 To make the integration work you will need to locate your Freshdesk support email address. To do that, sign into Freshdesk and navigate to Admin > Email. Log into your LiveChat account and go to the Custom email forwarding section. Enter your support email address and Save Changes . 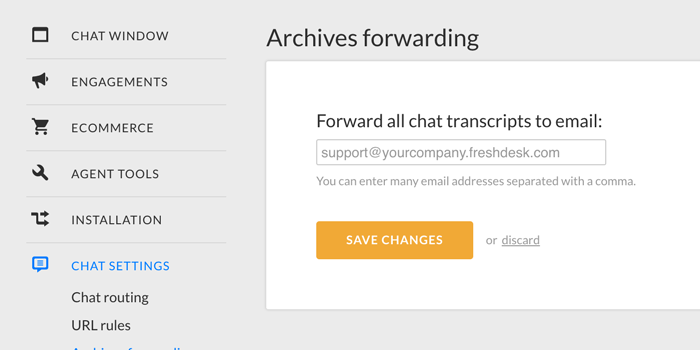 Within the LiveChat admin panel and go to CHAT SETTINGS > Archives forwarding. Paste your support email address as shown below. Remember that the ticket will be automatically logged in Freshdesk once the chat is complete. Need more help? Feel free to start a chat with us – we are available 24/7/365!